. :: Robert van Weers ::. My Sparred Kites. Here you can see the various Sparred kites I have built to colour the sky. You can click on their name tags to go to their own pages or just click on the images for a larger view. 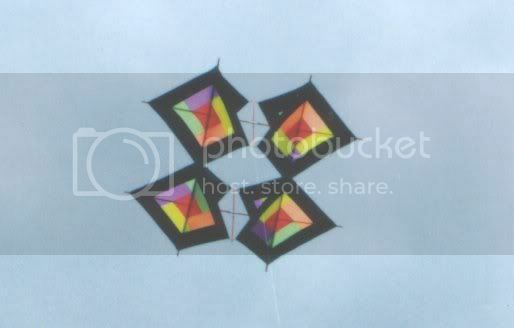 This kite was based on a German Designers work. I flew it at Bondi 1999 for the first time. Named after a Japanese game we call pick up sticks. 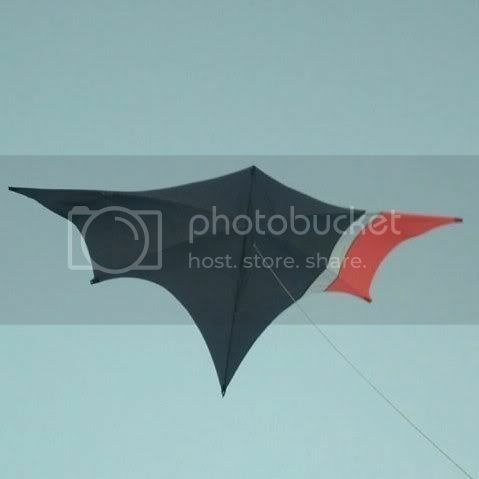 This Pirouette is an award winning kite for me. I won a trip to Australia, Bondi beach kite festival. This Rokkaku is the first one I made back in 1988, 2.5 meters tall, Click the title button to see it. Vapid means "Showing no intelligence or imagination". In other words, a basic kite and that is what it is. It flies great though. 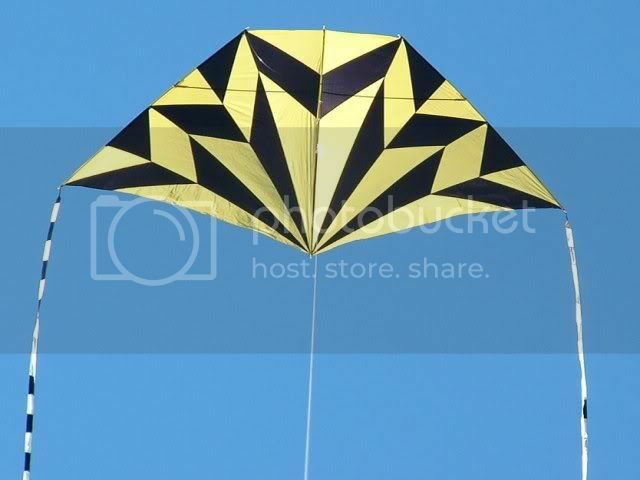 This 5 sided delta called "Penta" was made from a design in the Dutch kite magazine called "Vlieger".